June, the holiday for the kids. This means the parents have to find time to entertain them during this 1 month period. Do not expect them to take their books out and start revising for the next term. If they do that daily, congrats that your kids are definitely a bookworm, or really the studious type. Most of us have the no low-energy kiddos, they are out to play and watch TV for the holiday season! All photos are taken using only mobile phone: Sony Z5P and LG V20. I did not bring the DSLR to this trip so that I can enjoy to the max. 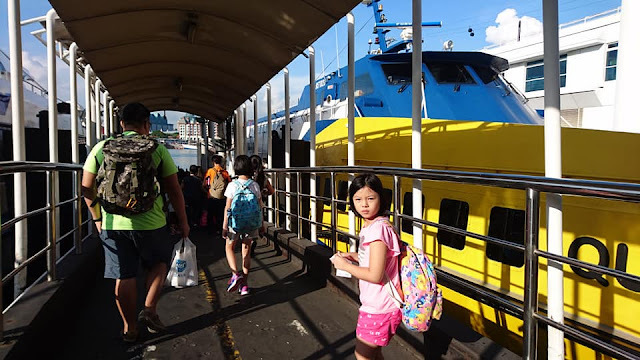 Upcoming video for the holiday I have 2 videos coming out to share with you - 1 is during the March holiday on Royal Caribbean Cruise Line - Mariner of the Seas and another is a trip to Pulau Ubin - Survivor School.